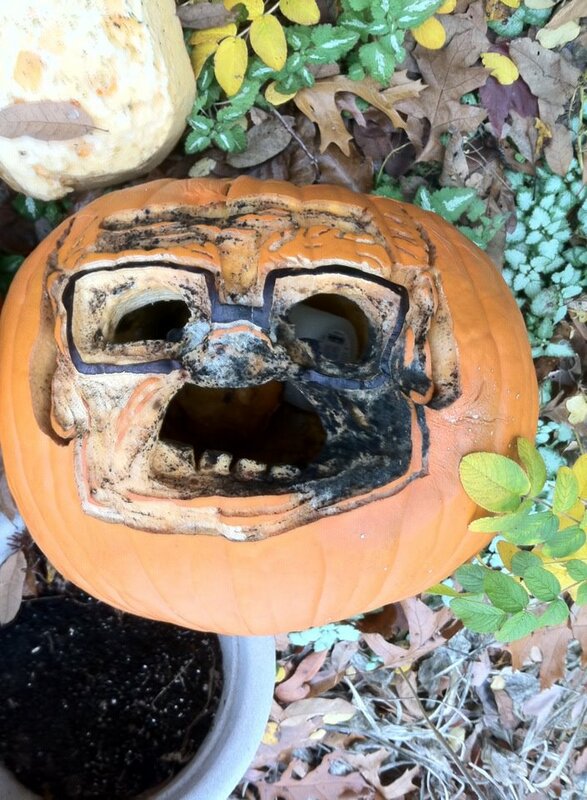 The weeks after Halloween are not kind to jack-o'-lanterns. They rot and decay alarmingly quickly, and you're left with moldy pumpkin yuck on your front porch if you don't dispose of them promptly. 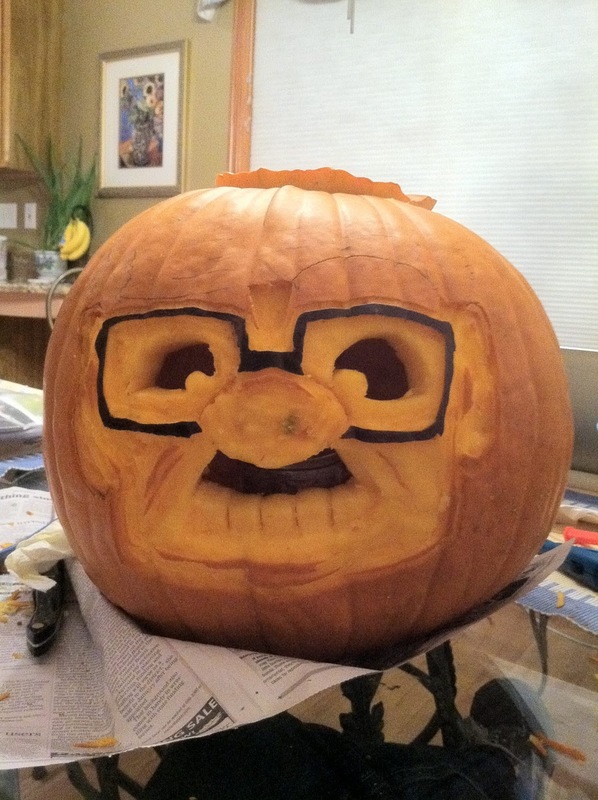 OH MY GOD, CARL FROM UP IS A ZOMBIE! EVERYONE RUN! RUN! WE MUST SAVE THE CHILDREN! NO ONE WILL BE SPARED! 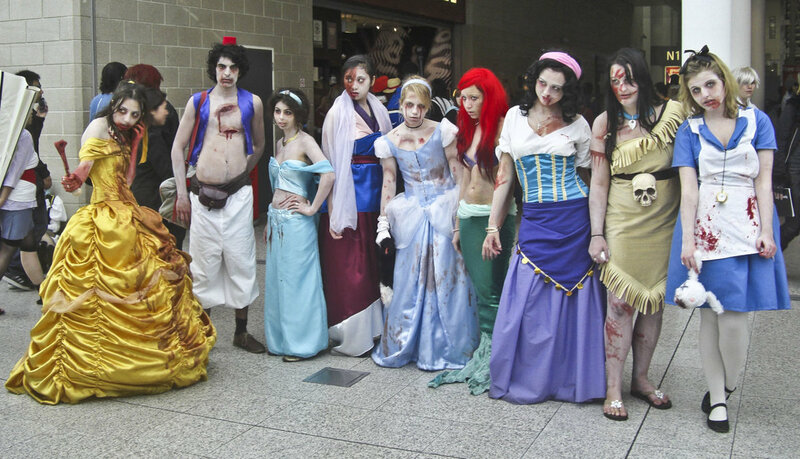 This actually made me wonder what other beloved animated characters would like like all zombified. And because the Internet is a vast and terrifying place, I found an answer to my question in this proposed Threadless t-shirt. And in this collection of Disney characters. My favorite is Alice holding a bunny head. Poor March Hare! Photo from MyDisguises.com. 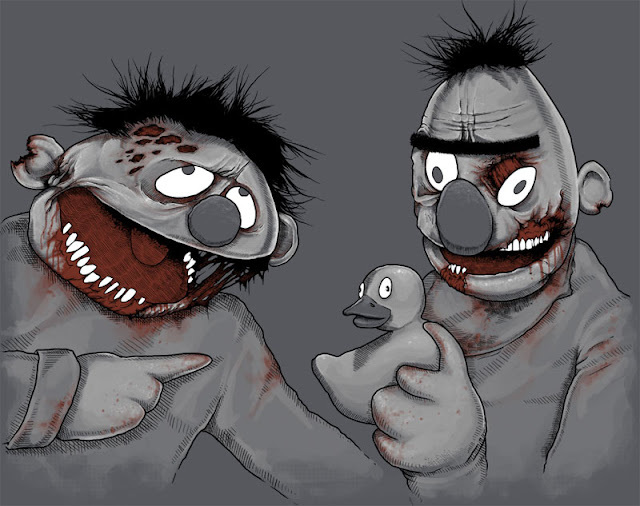 And this sad destruction of my childhood love of Bert and Ernie. T-shirt available at Ript Apparel. So what beloved animated character would you like to see as a zombie? Thanks to Landen for allowing me to share his pumpkin art/pumpkin monster!